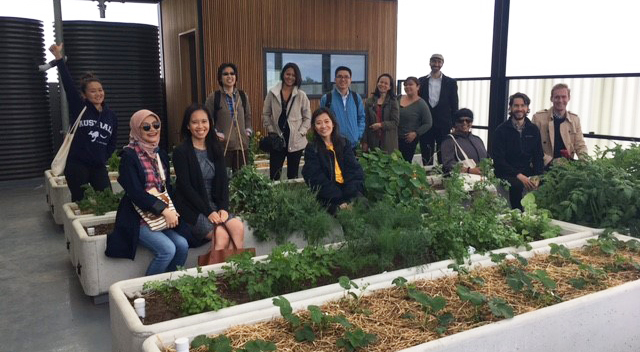 Ten participants from across the Asia-Pacific region took part in the 2018 ProSPER.Net Leadership Programme under the theme ‘Leadership for Urban Sustainable Development’ in Melbourne, Australia, from 12-16 November, 2018. Hosted by RMIT University, the programme brought together participants from academia, civil society, the public sector, and the private sector to explore and learn about the challenges and opportunities in urban sustainable development. With over one-half of humanity currently living in urban spaces, and with this amount projected to increase to over two-thirds of the global population living in cities by 2050, the programme provided participants with the opportunity to develop the skills and knowledge in order to lead on the many challenges that urbanisation brings with it. Participants were exposed to a range of interactive sessions, lectures, presentations, and group work, each with the common thread of incorporating sustainable development planning in the context of the United Nations’ New Urban Agenda as well as the Sustainable Development Goals (SDGs), with a focus on the city of Melbourne. The first day of the programme began with an innovation sprint as part of the City Partnerships Challenge run by the UN Global Compact Cities Programme. Operating in a World Café style, participants from both programmes worked on brainstorming innovative solutions to real-world business cases provided by five local city councils across the Australian states of Victoria and New South Wales. Projects included a proposed transport development, a combined waste water and energy facility, the regeneration of a historic city precinct, and an indigenous tourism product incubator. For each project, participants identified potential solutions and opportunities for innovation in response to the complex urban challenges faced by the local councils, before prioritising the most important outcomes to explore further. Critical learnings from this process included the importance of being able to exert influence and to convince and educate others when it comes to communicating ideas and priorities in the area of sustainability. As future leaders, a key challenge lies in how to implement solutions to complex problems whilst obtaining buy-in from stakeholders and the public, all of which relies to some extent on advocacy, communication, and engagement. Day two of the programme provided a basis for understanding the context of the current challenges within urban sustainable development in relation to the Sustainable Development Goals (SDGs) and the New Urban Agenda (NUA). Concepts of sustainability, its history, criticisms, how it is put into practice, and how cities will need to adapt in the future were all discussed. Furthermore, with over half of the world’s population living in the Asia-Pacific region, approaching sustainability with a multidisciplinary perspective (whether the topic at hand is transport, housing, air pollution, waste management, or providing safe, inclusive cities) is critical for managing the sustainable development of the region, and ensuring that cities are safe, resilient, inclusive, and sustainable. A number of Sustainability Leadership exercises enabled participants to delve deeper into the characteristics and styles of leadership, as well as ethics and standards that are expected of leaders. Leadership traits and behaviours were discussed, with ethical dilemmas and scenarios challenging the participants on optimal ways to address issues, in addition to factors to consider and potential consequences that can come about from the decision-making process. Content covering the city of Melbourne and its approach to urban sustainable development was presented from a number of different perspectives, starting with the hosts of the programme, RMIT University. An overview was provided of RMIT’s alignment and engagement with the SDGs, outlining the four main ways they contribute – through Research, Education, Operations & Governance, and External Leadership. Increasing awareness around the SDGs is a focus for RMIT, as it tries to improve accountability and transparency university-wide by improving measurement and reporting and trying to foster more collaboration and partnerships. 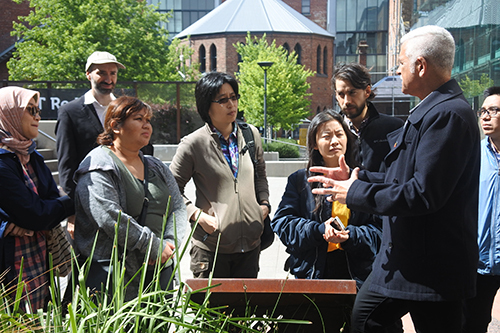 Participants were also given an insight into indigenous engagement at RMIT, Aboriginal culture, and its relationship with the land. A deeper look into understanding how Melbourne has changed and emerged over the years as a result of urbanisation, including planning for the future, was the focus of the rest of the content presented on the third day. The concept of ‘liveability’ from a planning perspective was discussed, as well as Melbourne’s current plan and whether it is adequate to sustain it as a sustainable and liveable city in the future. As a medium-sized city currently at five million inhabitants, Melbourne’s predicted growth and urban sprawl (it is due to outpace Australia’s most populous city Sydney) will mean the city will face key challenges such as accessibility, connectivity, congestion, public transport and capacity, and affordability at a greater level into the future. The City of Melbourne provided an overview of local planning and building policies, tools and sustainable design categories (e.g. indoor environment quality, water efficiency, urban ecology), building scorecards, frameworks and certifications, all of which come under its strategy on sustainability for the city. A look at the history of housing challenges within Australia provided insights on the equity and access issues that have emerged over the years, and the resulting challenges of affordability, supply, and suburbanisation, all affected by factors such as population and housing growth, tenure trends, policy changes, and the changing makeup of households. This was followed by a presentation on the Future of Cities, with increased mobility, technology, and the creative class set to define the cities of the future due to factors such as proximity, access, and lifestyles. The fourth day of the programme provided participants with a chance to see a successful example of housing provision in practice; the Nightingale model. Designed to provide housing outcomes that are sustainable, affordable, and socially inclusive, the model was developed by Breathe Architecture in order for architects to deliver triple bottom line apartments under the idea of ‘building less to give more’. Communal spaces, no car parking, and eliminating non-essential (cosmetic) features are just some of the ways costs are reduced, delivering savings on construction and maintenance, in addition to sustainability measures which are incorporated in the model. Furthermore, shared facilities (such as a rooftop garden and laundry) and communication among residents (owner-occupiers rather than investors) help to build a sense of community, whilst financial transparency and direct consultation with architects by residents allow purchasers to make more informed decisions. 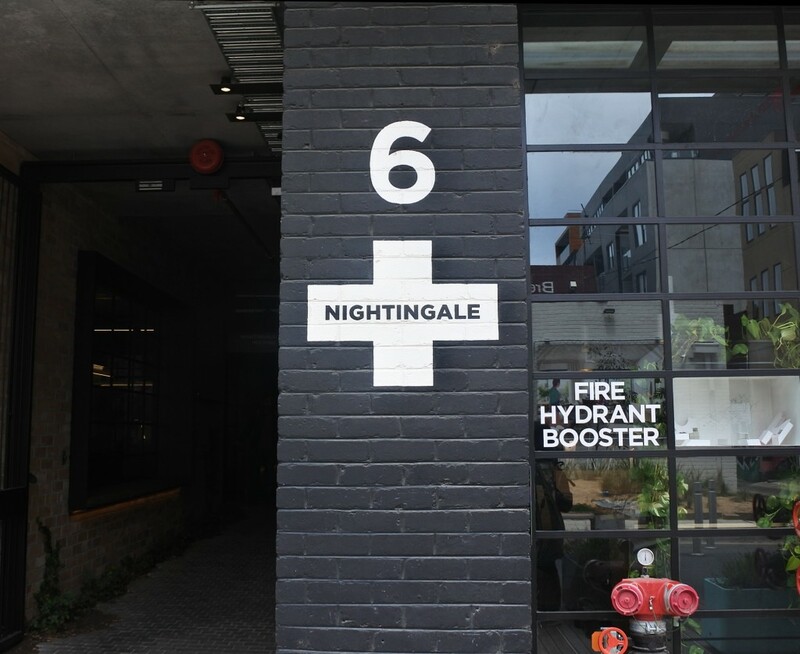 By touring Nightingale 1, the first ‘Nightingale’ building constructed, participants were able to see how a model designed to affect change in the development of apartment living has prospered in a city such as Melbourne. The programme ended with participants presenting strategies for the city of Melbourne in relation to achieving targets from SDG 11 that groups had been assigned. These included gaps and prevention measures for the city’s waste management challenges, addressing unequal access to green and public spaces, strategies to address current housing issues of affordability, supply, and accessibility, and a people-centred approach to developing solutions for sustainable transport in Melbourne. The culmination of lectures, interactive sessions, a site visit – all whilst being immersed in a dynamic city that is continually undergoing urbanisation – provided participants with an insightful week rich in knowledge and the understanding of how a city can be transformed for the better. Added to this, participants benefitted from the formation of new connections, whilst developing skills that can be applied within any number of spheres, from city government and finance to education and non-profit work, to lead on sustainable urban development challenges now and into the future. The ProSPER.Net Secretariat would like to thank RMIT University for their efforts and organisation in hosting this programme.